As you'll get the hang of it pretty soon, in our Let It Snow Books 2012 event we wanted to introduce you to our favourite reads and (new) authors of 2012, and today's guest is another historical romance author I discovered recently, but whose loyal fan I've become with only one novel. Please give the warmest welcome to Alyssa Everett, and the book in question is Ruined by Rumor (you can read my review here)! Stella: Hi Alyssa, it's such a pleasure to welcome you at Ex Libris! :-) Let's talk holidays. Is there anything special you usually do for the holidays? Any special family tradition? Alyssa: We have lots of Christmas traditions, from attending breakfast with Santa even though my kids have long since outgrown Santa's lap, to watching the PeeWee's Playhouse Christmas Special while we decorate the tree, to hiding a pickle ornament among the decorations. A special tradition is making home-made Belgian waffles on Christmas morning, and whoever finds the pickle gets the first waffle. Alyssa: I can't resist those haystacks made with chocolate and chow mein noodles--yum! Though since my husband's grew up eating Tex-Mex cooking, another of our Christmas traditions is making tamales to share with friends. Alyssa: Family time together. I wish I could see my parents and my sisters more often, but we're scattered around the U.S. Right now I'm cherishing time with my children, including a daughter who'll be college bound in 2013. Alyssa: I like giving people gifts they never would have bought themselves, but really ought to have. I gave my parents a Netflix subscription for Christmas a couple of years ago, and they've been watching entire seasons of shows like Game of Thrones and Boardwalk Empire ever since. Alyssa: This is so sappy, but drinking hot chocolate and watching Hallmark Christmas movies on TV while I wrap presents. 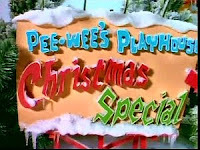 I'm a sucker for sentimental holiday movies. Stella: Since this whole event is about the Best Books we read in 2012, could you share with us some of your favorite titles you have read this year? Alyssa: I really loved Cecilia Grant's A Lady Awakened, about a repressed widow who seeks out a pleasure-loving neighbor to help her conceive a baby quickly so she can pass the child off as her late husband's. My critique partner, Susanna Fraser, has another of her wonderfully authentic regencies out now, An Infamous Marriage, about a philandering husband who's called to account by the wife he left behind. And outside the romance genre, if you're looking for a non-fiction gift for anyone interested in fashion, I recommend Tim Gunn's Fashion Bible, a highly readable "history of everything in your closet" from Project Runway's courtly resident expert. Alyssa: Well, as an introvert I find the sheer number of holiday parties pretty exhausting. My husband has four different work-related Christmas parties...and that's on top of all the functions associated with our kids, our church, and the organizations we belong to. I have a party to attend tonight, for example, and this coming weekend we have four parties and a Christmas concert. There are evenings when I'm grateful just to curl up at home with a mocha and the TV remote. 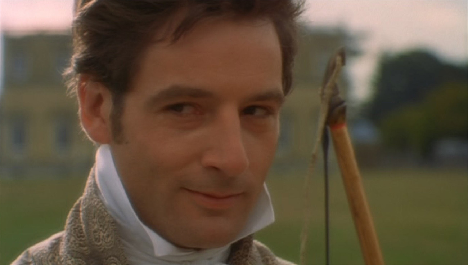 Alyssa: I think I'd like to hang out with Mr. Knightley from Jane Austen's Emma, especially if he looked like Jeremy Northam from the 1996 movie adaptation. He's gentlemanly and loyal and in Austen's book he makes the trip through bad weather to spend Christmas with Emma and her father, so I think he'd be good company. I'd make popcorn and we'd watch old movies together, as long as it didn't make my husband too jealous. Stella: Oh, I LOVE his Mr. Knightley as well! :-D What would you ask Santa to bring you this year? Alyssa: The inspiration to finish one of the three stories I've been working on! 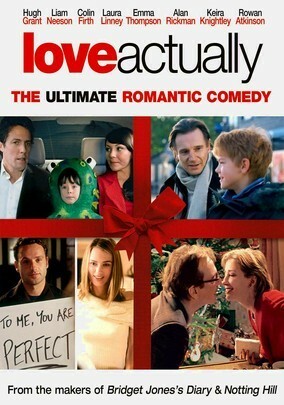 Alyssa: I'm a sucker for holiday movies in general, but both "Bridget Jones' Diary" and "Love Actually" are high on my list. I also love "A Christmas Story". My father is a big Jean Shepherd fan, so even before that movie came out in the 80s, "You'll shoot your eye out, kid" was a Christmas catch-phrase in our family. And as for books, I'll put in a plug for my own debut regency, Ruined by Rumor, which ends with an epilogue set at Christmas, 1815. Alyssa: Aside from finishing one of those stories? I'd like to be more disciplined and write a few pages every day. Perhaps if Santa brings me that inspiration I'm asking for, I'll be able to stick to my resolution. My question for readers: I'm looking forward to the release in March of my next regency, Lord of Secrets. What are you looking forward to in 2013? 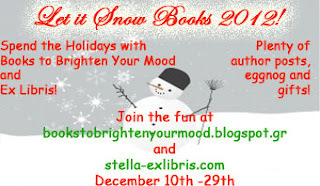 Thanks for letting me be a part of Let it Snow Books, Stella! Alyssa Everett writes the kind of romances she hopes readers will find satisfying, yet not mind too much if their teenage daughters read–stories of inexperienced heroines learning to negotiate the pitfalls of love and marriage, and heroes striving to do the right thing. Alyssa grew up in Florida, where from an early age most of her favorite books had dukes in them. She spent her formative teen years working at a nearby theme park, doing just about every odd job a person can do, from collecting garbage to captaining an African boat cruise. She married her college sweetheart and dropped out of the work force a few years later to raise a family. Starved for adult interaction, she began inventing grown-ups on the page. Since she could make her heroes look any way she liked, she gave them topboots and expert tailors. The result was her first regency romance. 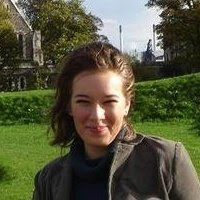 Alyssa sold her first regency, A Tryst With Trouble, to Dorchester Publishing. However, financial problems at Dorchester led the company to postpone the release, and the publisher suspended operations before the book could be published. Alyssa’s second regency, Ruined by Rumor, became her debut romance when Carina Press published it in May of 2012. 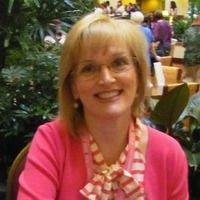 Her next regency with Carina should be out in March of 2013. For the present, A Tryst With Trouble remains unreleased. A fan of Halloween, the perfect shoes, and springer spaniels, Alyssa now lives with her husband and their three children in Pennsylvania, where writing continues to be her favorite excuse for putting off housework and aerobic exercise. Alyssa loves to hear from readers. Find her on her website, Facebook, Twitter, Pinterest, or Goodreads. 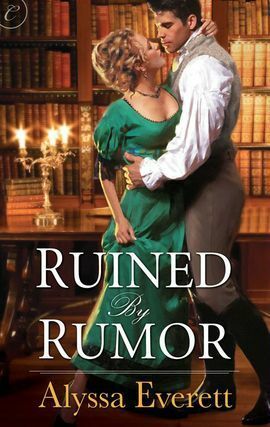 Alyssa has very generously offered an ebook copy of Ruined by Rumor to a lucky reader!